One of the few things I can make from my sick nest on the couch is jewelry. 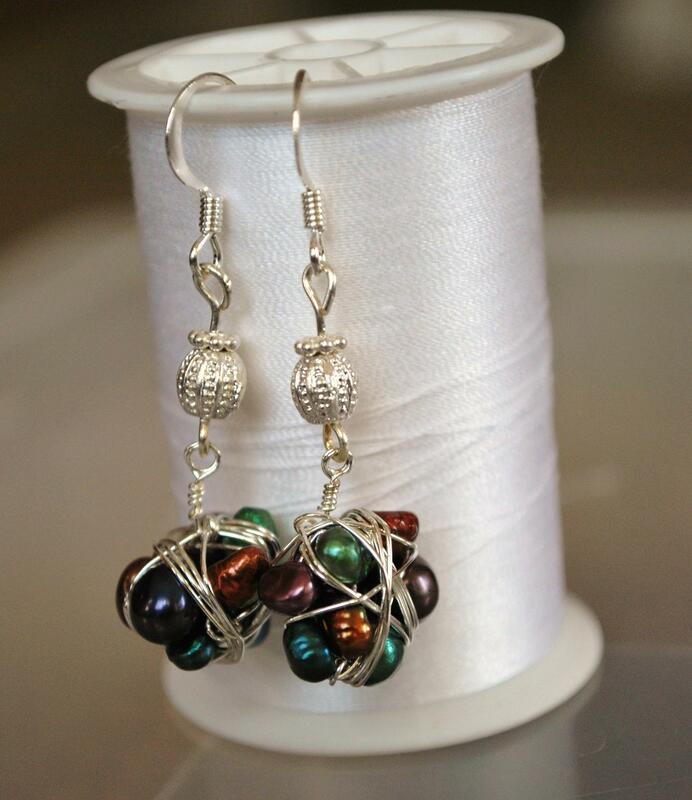 Today I put together a pair of wire-wrapped freshwater pearl earrings in tones of blue, purply-red and green. Feeling marginally better after another long night on the couch propped up with pillows in a failed attempt to keep junk from running down my throat. Here’s hoping tonight is better, as I have to make a trek to SF tomorrow to take down my artwork at the gallery… or what’s left of it, that is. 😉 I’ll post an update with which woodblocks are still available soon. In the meantime, it’s a great gray day for a cup of tea/cocoa/coffee and catching up on DVR movies!